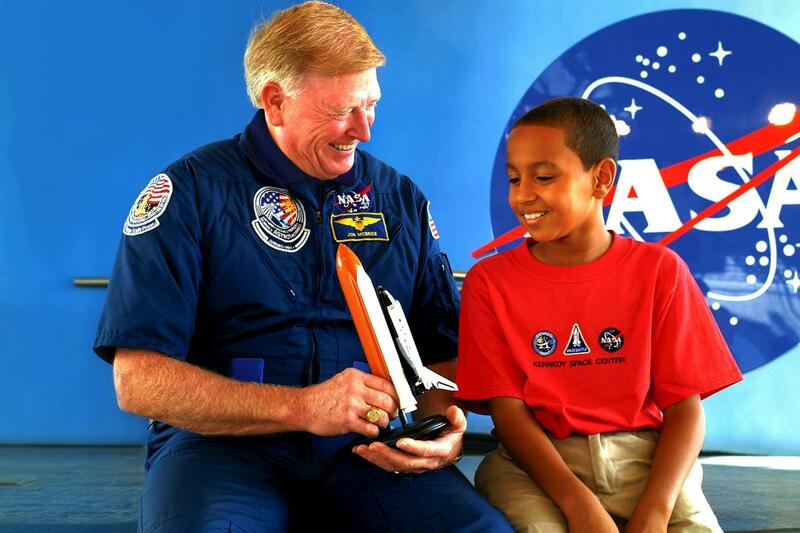 Explore in style with a Space Pass: admission ticket to Kennedy, astronaut luncheon and up-close bus tour! Your lunch will be at 12:00 PM. Your tour time will be anywhere from 1:30 PM to 2:30 PM. 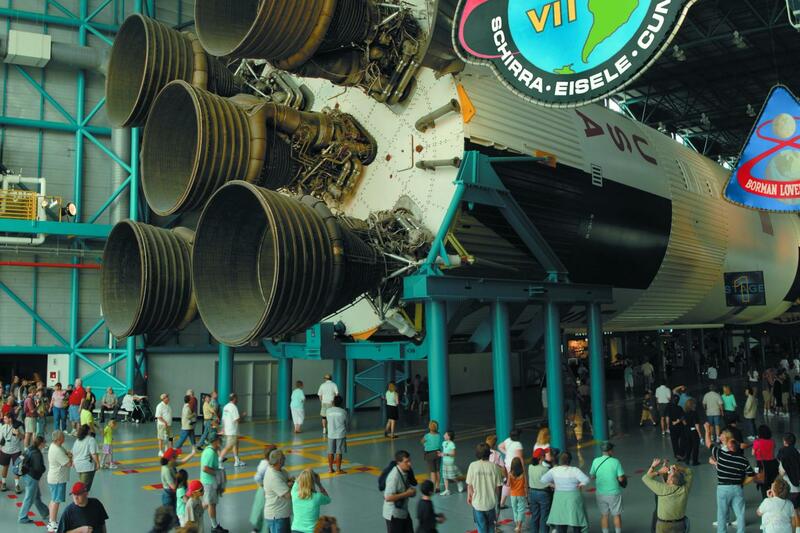 Please be sure give yourself enough time to arrive at Kennedy Space Center for both as the tickets are date and time specific and non-transferable. Upon arrival at the main visitor center complex, you have time to visit the world’s most comprehensive attraction devoted to the space shuttle, Kennedy Space Center Visitor Complex’s new Space Shuttle Atlantis brings visitors nose-to-nose with the priceless Atlantis spacecraft as only astronauts have seen it before – with payload bay doors open as if it were floating in space. More than 60 interactive, touch-screen experiences and high-tech simulators invite guests to “be the astronaut,” bringing to life the people, passion and patriotism behind NASA’s 30-year Space Shuttle Program as well as the complexity of the engineering marvel that launched the Hubble Space Telescope and built the International Space Station (ISS). Guests can conduct a virtual EVA, or extravehicular activity; practice docking to the ISS; extract cargo from the payload bay; create sonic booms and glide to a landing on the Re-entry Slide; experience the sensation of floating in space; explore a high-fidelity replica of the ISS; virtually mate Atlantis to the external tank; kick up a virtual chemical reaction to launch the shuttle; get an “X-ray view” of Atlantis’ interior; experience an orbital sunrise; strap in to the sights, sounds and sensations of a shuttle launch; take the helm at the shuttle cockpit, and much more. 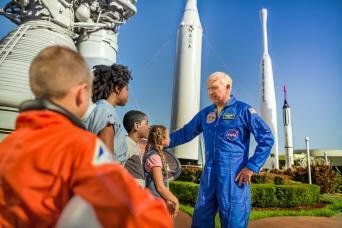 This is the best expansion Kennedy Space Center has ever offered - yet another reason to come and visit. Then, we recommend going over to the IMAX movie or riding the Shuttle Launch Experience prior to lunch. 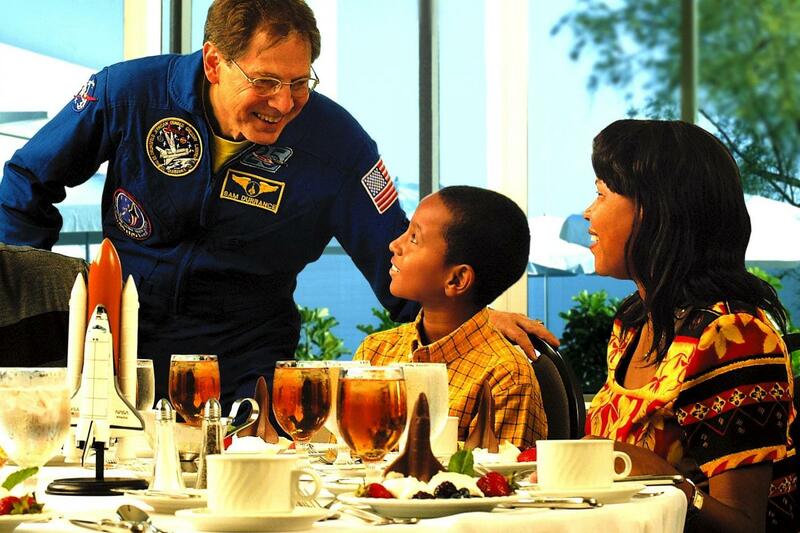 During lunch time, you have a chance to sit down to a buffet lunch and presentation from an astronaut – this is a great opportunity for photos and autographs. Following lunch, it is time to ride the DISCOVER KSC Bus Tour. 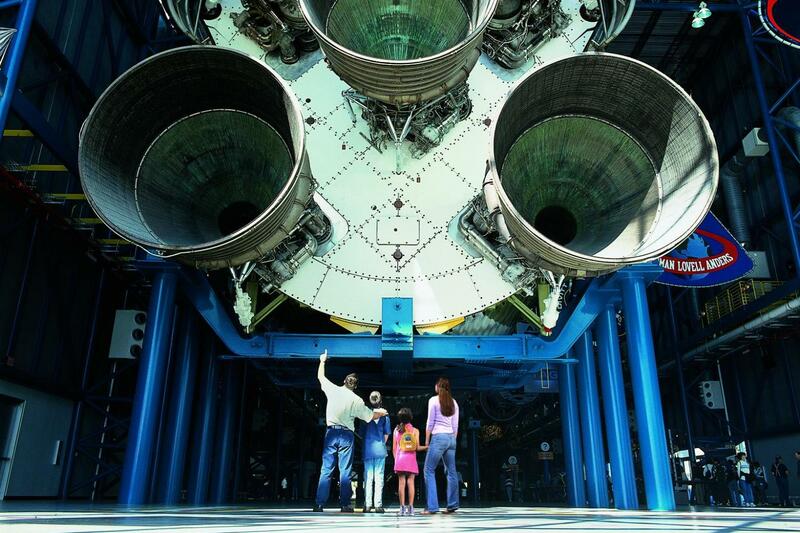 This two hour, fully guided bus tour within Kennedy takes you close by the former shuttle launch pads. If you really want to experience Kennedy, yet don’t necessarily wish to walk around and read the exhibits yourself, then this is your opportunity. 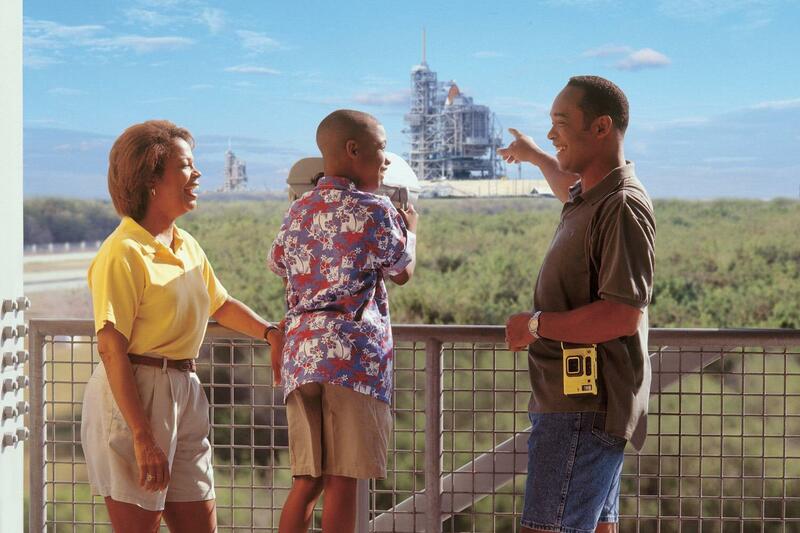 On some occasions, the bus tour stops in the Vehicle Assembly Buildings for guests to take photos outside. This is definitely a tour highlight and something not to be missed - this inclusion is for a limited time only and we will not be told by NASA when this special stop will end! This tour shows you areas not seen on the regular bus tours. The bus tour ends at the Saturn V Center where guests get to walk under the Saturn V rocket and touch a piece of moon rock. This is a compact day as you have a lot to do, but if you really want to see the best that Kennedy has to offer, then this is the day you should book!